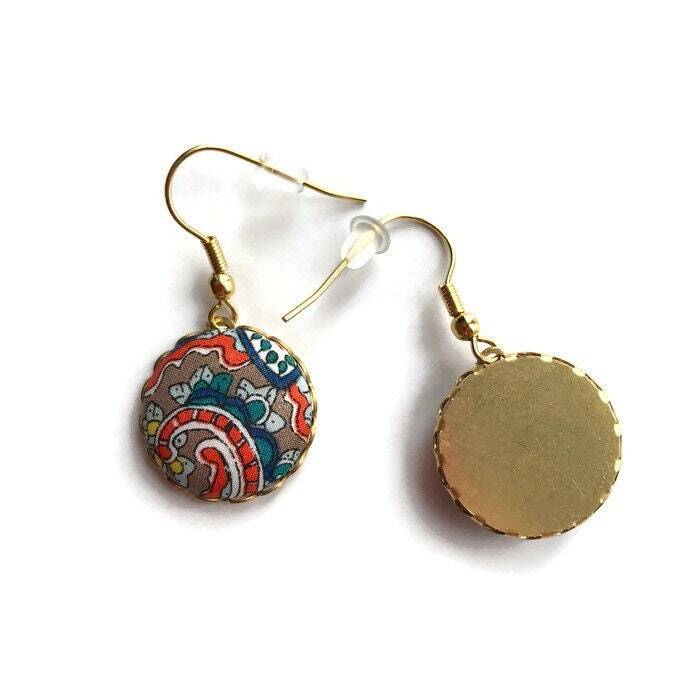 Light Liberty textile earrings made with metal buttons covered with lovely colorful Liberty print fabric (100% cotton), various brass components and allergy free stainless steel hooks. 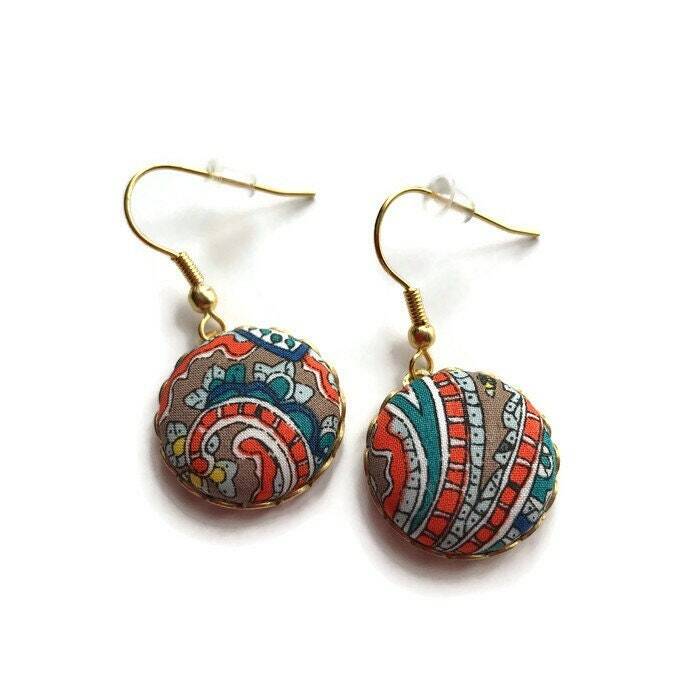 The earrings worn by the model on the last picture are similar to the ones sold on this listing, the design is the same, only the print is different. The picture will help you evaluate length and size. 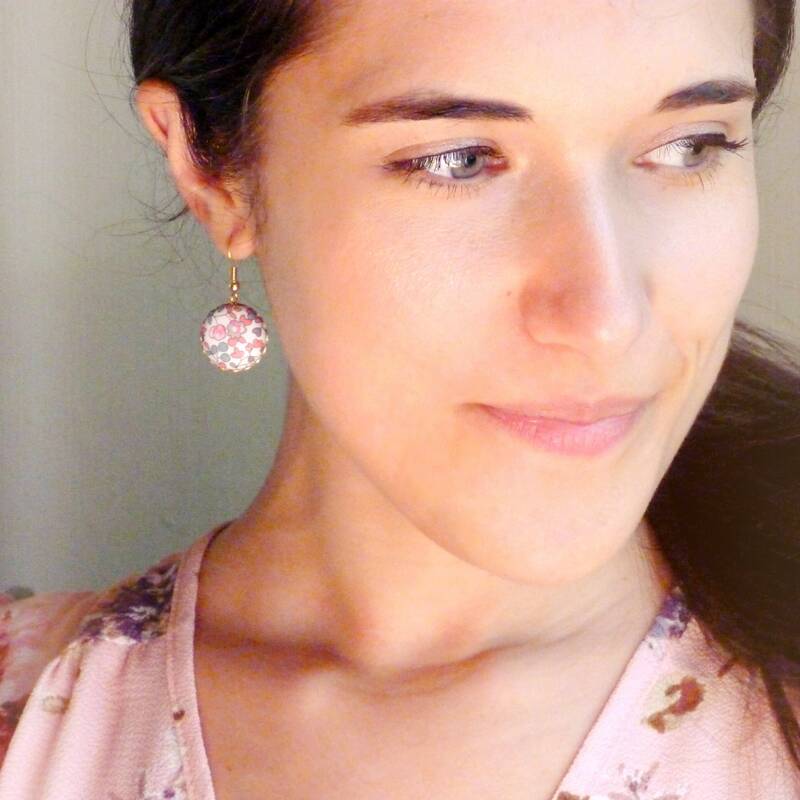 These lovely earrings will look amazing all year long! 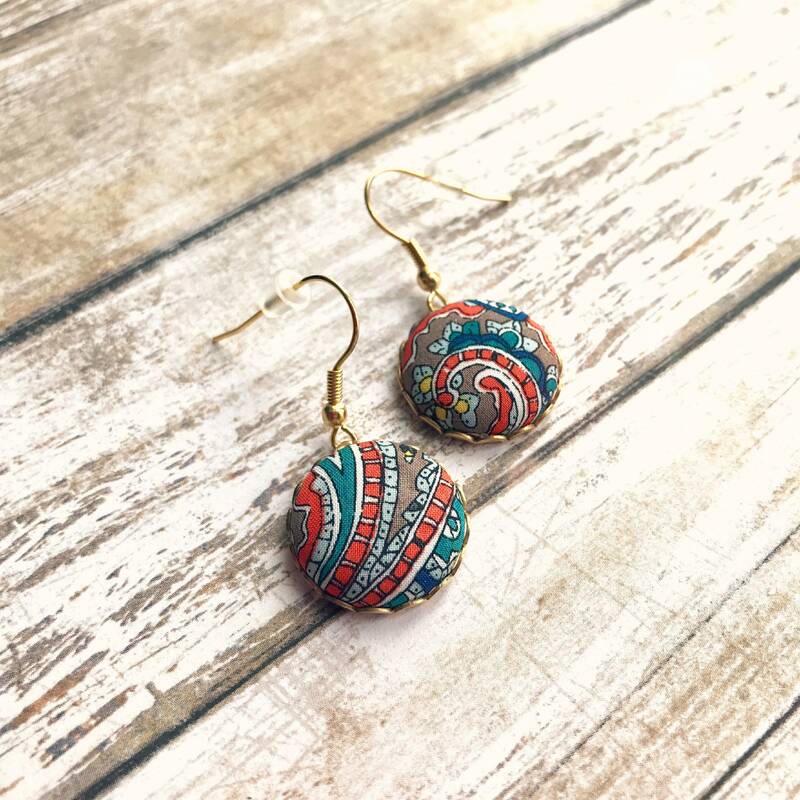 They will bring a colorful boho touch to your outfits or will be a perfect gift for your mother, your wife, your best friend or for yourself!